What's the Best Way to Get Rid of Leaves? Dealing with leaves in your yard will depend upon the size of your yard and the number of trees on or around the property. One preferred method is a combination of mulching and raking. 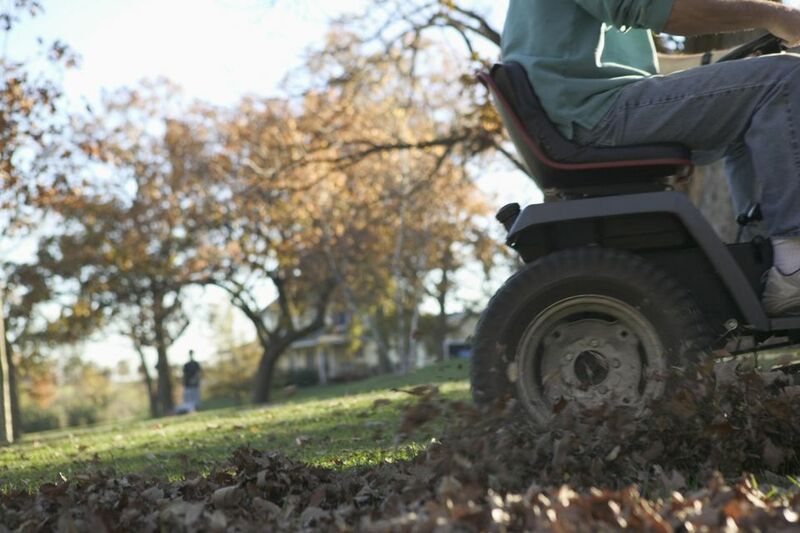 Mulch the leaves with your lawn mower as much as possible as they fall. Just be sure that the mulched leaf material left behind is not excessive. It should blend in nicely with the turf and not accumulate so much that the grass suffocates. For those who insist on a spotless lawn year-round and might be concerned about what the neighbors will think of the brown leaf bits the mower leaves behind, don’t worry. The shredded leaves will filter through the grass and disappear from sight. In northern lawns that go dormant or in grasses such as Bermuda or zoysia that turn a dormant brown color in winter, the shredded leaves may even blend right in. Better yet, if you continue this practice each fall, in a few years, mulching can help you have a luscious spring and summer lawn free of dandelions and crabgrass. We also advocate the environmentally friendly, people-powered method of hand raking. It's a zero emission activity and the exercise is good for you. Fallen leaves often harbor disease, which can overwinter when the leaves are left on the ground. These diseases are usually host-specific. For example, a disease that affects deciduous trees won't damage grass or perennials. Raking them up in the fall, though, can reduce the diseases you encounter the following spring and summer. Raking the leaves might keep your lawn healthy and neat, but it can create environmental issues, depending on what you do with those raked leaves. Bags of leaves often end up in landfills. In some communities, residents rake leaves into the streets, and city workers sweep them up. The problem with this strategy is that many of the leaves are washed into gutters where they make their way to streams and waterways. Here, they release nitrogen and phosphorus into the water, which encourages algae growth. Excessive algae growth depletes the water of oxygen and kills fish and other aquatic life. Some people complain that they have no luck composting leaves. “We make a pile of our leaves,” people say, “but they never break down.” That is indeed a common complaint. Add extra nitrogen to your leaf compost. Manure is the best nitrogen supplement, and a mixture of five parts leaves to one part manure will certainly break down quickly. If you don’t have manure—and many gardeners don’t—nitrogen supplements such as dried blood, cottonseed meal, bone meal, and granite will work almost as well. Nitrogen is the one factor that starts compost heap heating up, and leaves certainly don’t contain enough nitrogen to provide sufficient food for bacteria. Grind or shred your leaves. It will make things simpler for you in the long run. A compost pile made of the shredded material is really fun to work with because it is easily controlled and so easy to handle.